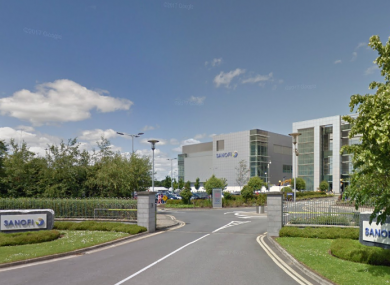 The incident happened in a laboratory at the Sanofi Waterford site at around 11.20am. TWO PEOPLE HAVE been injured during a chemical incident in Waterford this morning. Emergency services were immediately informed and attended the scene. Two members of the Waterford site team were injured. They have been taken by ambulance to University Hospital Waterford where they are receiving treatment. The Health & Safety Authority has said it is aware of the incident and that it will carry out an investigation. Email “Two people injured in chemical incident at laboratory in Waterford”. Feedback on “Two people injured in chemical incident at laboratory in Waterford”.